With deep roots in Indiana, veteran radio broadcaster Jerry “J” Chapman is moving back to the Hoosier state and plans to return a network of six east central Indiana radio stations to local control by later this summer. 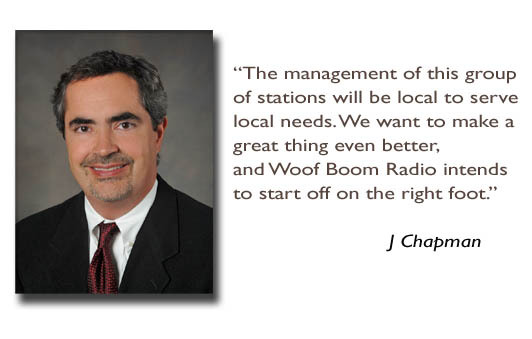 A group of local investors, headed by Chapman, have formed Woof Boom Radio, a nod to the longtime dominance of WFBM in Indiana broadcasting from the beginnings of radio in the 1920’s until the mid-1970’s. Once the acquisition is completed later this year, Woof Boom Radio will own and operate local radio stations throughout eastern Indiana serving the communities of Muncie, Anderson, Hartford City, Daleville, Yorktown, Alexandria, Pendleton, New Castle, Marion, and Gas City. Woof Boom begins operating the stations on June 1, 2013. Stations to be purchased by Woof Boom Radio include: WLBC (FM 104.1), Muncie; WERK (FM 104.9), Muncie; WXFN (AM 1340), Muncie; WHBU (AM 1240), Anderson; WMXQ (FM 93.5), Hartford City; and, WMQX (FM 96.7), Alexandria. Recently formed Woof Boom Radio has strong local ties. The ownership team is led by Chapman and includes three other local businessmen: Ray Kennedy, Conormara Investments; Jason Farmer, Managing Director of WestBridge Investments; and Aaron Reitz. Woof Boom Radio is looking to make other strategic acquisitions in radio. The acquisition of the six station group was announced today and is expected to be close later this summer, pending Federal Communications Commission approval. A 17-year radio executive with Indianapolis-based Emmis and most recently with Maverick Media of Rockford, Illinois, Chapman is a graduate of Hanover and literally grew up in the broadcasting industry. His father led Indianapolis WFBM Radio & TV for three decades, and J got an early start in the media business when assigned by his father to mow the grass at the TV station’s north side Indianapolis transmitter site. Gary Rozynek, President and CEO of Maverick Media, had similar praise for Chapman and his leadership skills. “I am thrilled that J has elected to pursue station ownership in Indiana. Having worked with him for the last eight years, he has demonstrated strong leadership and the ability to create value running our Rockford, Illinois assets. He is a values-driven and principle-centered manager who gets his employees to embrace the mission. 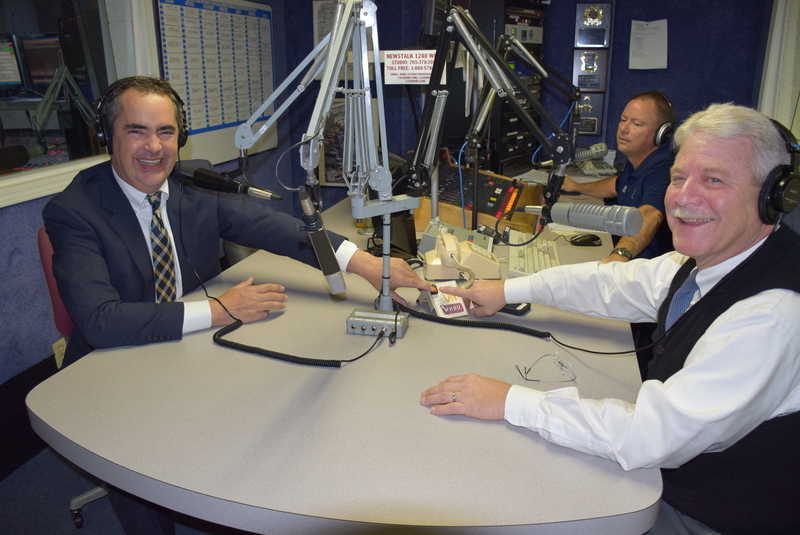 J has a long history of success in broadcasting and I am confident that as his company begins owning and operating this family of radio stations, they will serve the community well and be their customers’ best marketing partner,” Rozynek said. Chapman worked as on-air talent in Indianapolis, South Bend, and Scranton, Pennsylvania and was part of the team that launched Indianapolis Fox TV affiliate WPDS-TV (now WXIN) in 1984. Joining Emmis Communications in the late 1980’s, Chapman managed various sales teams and eventually led the Indianapolis radio sales organization. 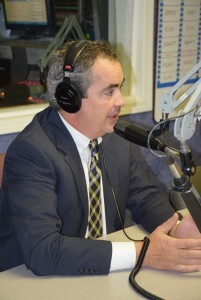 “I believe that radio is an effective and unmatched way for those with a message to reach listeners. We will speak the truth, do our best, do what we say we’re going to do, work with passion, and treat everyone with respect. Those are values that Woof Boom Radio will reflect with our employees, our customers, and our listeners,” Chapman said.